Honor the Civil Rights hero with an inspired trip. As Martin Luther King Jr. Day approaches, many people are more likely to be thinking about their plans for an extra day off than about the man to whom this holiday is dedicated. This year, U.S. residents might consider visiting a few of the many locations where the activist and preacher inspired thousands, leaving an indelible mark on American civic life. One of the most prominent U.S. Civil Rights leaders, King was instrumental in ensuring voting rights and desegregation policies for African-American people throughout the country. Given his dedication to pacificism and refusal to fight violence with violence, he became a broader symbol of peaceful protest, a reminder of the change that individuals can make in an unjust society. Martin Luther King Jr. Day is also a moment to remember the many thousands of other students, preachers, and activists who risked their safety to secure a better life for African-Americans. Rep. John Lewis, who is still a congressman in Georgia, walked with King in a march in Selma and suffered a fractured skull when law enforcement attacked. Medgar Evers, who worked to overturn segregation at the University of Mississippi, was shot dead in his home in 1963. Viola Liuzzo, a woman who traveled to Alabama in 1965 to help with the boycotts and marches, was killed by the Ku Klux Klan a few weeks shy of her 30th birthday. 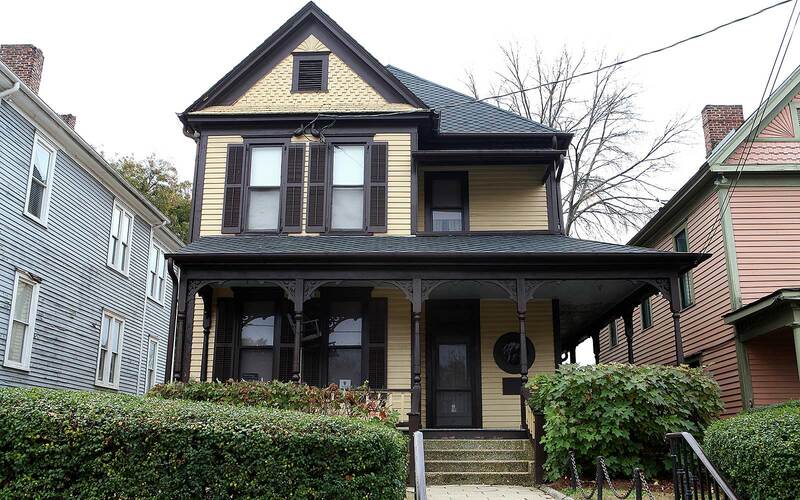 Travelers can start at the beginning by taking a visit to the two-story childhood home of King in Atlanta, Georgia. The house at 501 Auburn Ave recently reopened after repairs in order to welcome visitors on the anniversary of King's birthday Monday. Visitors to King's home can also take a brief walk to the nearby Ebenezer Baptist Church where his father was a preacher and where King himself would be ordained as a minister in 1948. After lunch at a one of Atlanta's many great restaurant options, admirers of King's life can pay respects to his grave site and memorial. 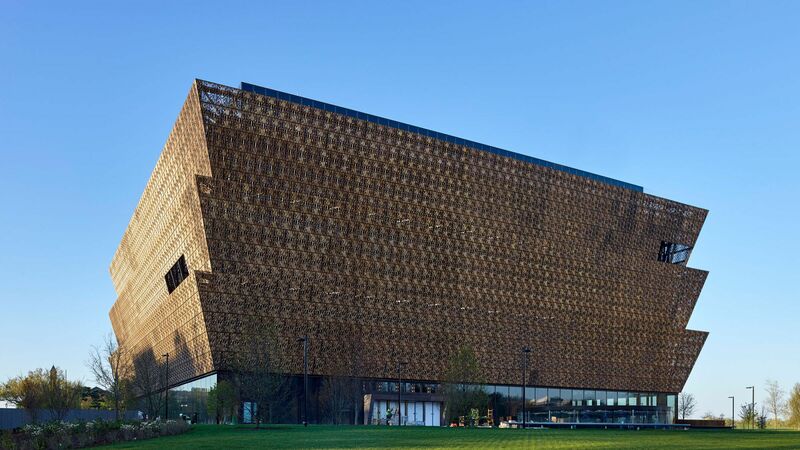 The newly opened National Museum of African-American History and Culture (NMAAHC) is a must-see. The expansive collection tracks the cultural and historical contributions of African-American people from the birth of the country until the present day. Artifacts include Harriet Tubman's prayer book and shawl, Chuck Berry's Cadillac, and the casket of Emmett Till—a 14 year-old boy whose gruesome murder helped spark the Civil Rights movement. While there is an entire section of the museum devoted to the Civil Rights movement, King artifacts are conspicuously missing. His former attorney Clarence Jones blames King's children, Bernice, Martin III and Dexter who have a history of demanding exorbitant fees for the use and display of their father's items, the Chicago Tribune reported. Visitors to the museum can still learn about King's legacy through other exhibits, including a documentary video entitled "August 28," by award-winning director Ava Duvernay that delves into King's “I Have a Dream” speech, among other historical events that occurred on the same day. 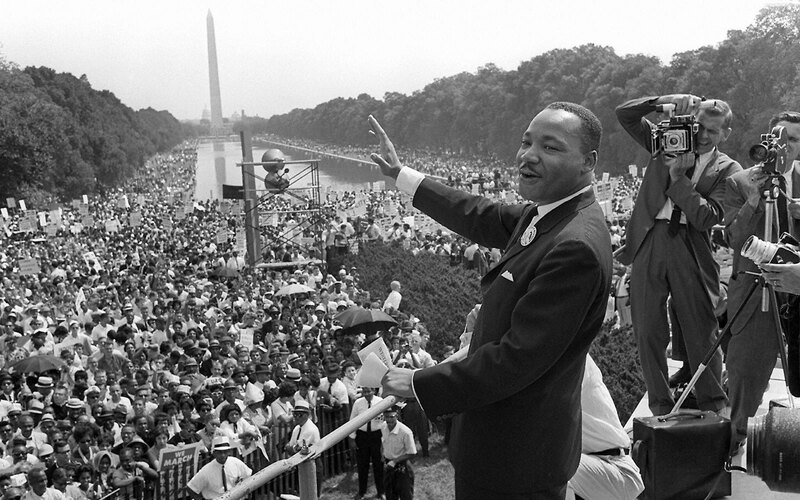 The museum is situated on the National Mall, where King made his "I Have a Dream Speech," in 1963. King was shot and killed the night of April 4, 1968 while standing on the balcony of the Lorraine Motel in Memphis. An escaped convict shot King when he was staying in town to organize around the issue of economic equality for sanitation workers, and he was pronounced dead upon arrival to the local hospital. He was 39 years-old. Since then, a complex of buildings including the motel have been turned into the National Civil Rights Museum. Visitors can see the room where King was staying the night of his death and explore a variety of exhibits related to the 1960s Civil Rights movement as well as the history of American slavery. 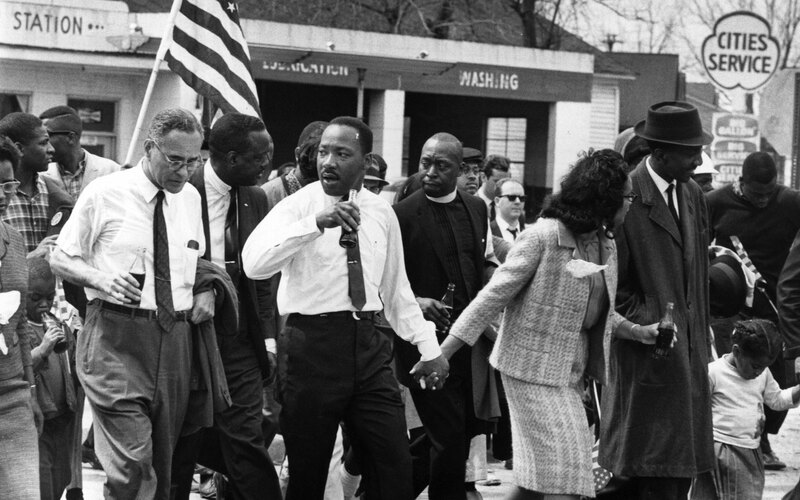 In 1965, King and hundreds others attempted to march from Selma to Montgomery in a demonstration for voting rights. State and local authorities met the demonstrators with violent resistance on the Edmund Pettus Bridge, severely injuring dozens of people in graphic footage that was shown on the nightly news, in an event that became known as Bloody Sunday. Martin Luther King Jr. and his wife Coretta Scott King are pictured taking part in the Selma march in 1965. King and his supporters would eventually complete their march, with the protection of national guardsmnen. While both Montgomery and Selma have a limited number of well-preserved historical sites, both are part of the Alabama Civil Rights museum trail and visitors can make their own pilgrimage to the Edmund Pettis Bridge. 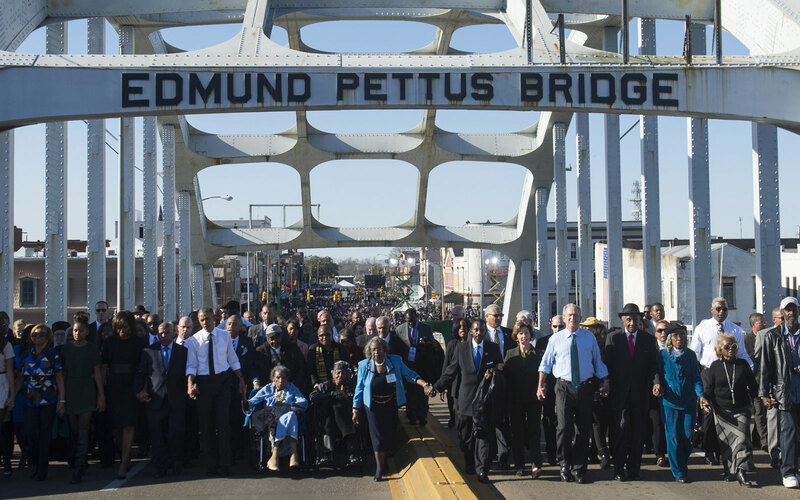 President Barack Obama visited the Edmund Pettus Bridge in 2015 to commemorate the 50th anniversary of the Selma march and Bloody Sunday. This southern city was also a focal point of King's organizing, and it includes several monuments as well as a series of historical placards throughout the town that allow visitors to make their own guided walking tour. Historic sites include 16th street Baptist church, where Ku Klux Klan members planted a bomb during services in 1963, killing four young girls. The nearby Gaston Motel served as an impromptu headquarters for King during his time in Birmingham, and was also the site of a bombing. King spent several days in Birmingham Jail for organizing a protest, and it was during this time that he wrote his seminal "Letter from a Birmingham Jail," an open letter that became one of the best-known documents of his era..